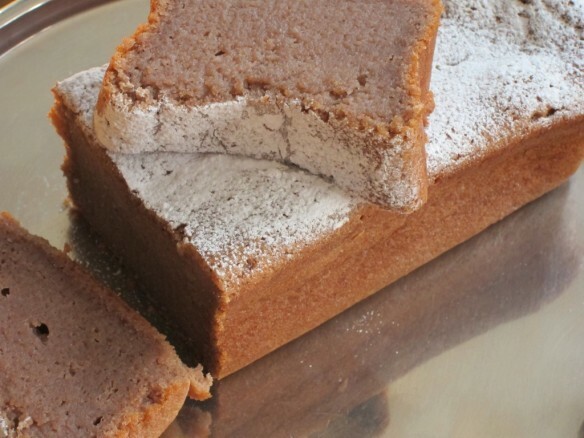 This Gourmet Chestnut Cream Fondant is the perfect cake for chestnut lovers. This is the lightest, most delicious Fondant I have ever tasted. it melts in the mouth. This cake is gratifying and inexpensive to make. At first, pour the chestnut cream in a large bowl and add the melted butter. Mix well. Break the eggs, separating the whites from the yolks and stir in the egg yolks to the batter. Beat the egg whites until stiff and gently fold into the preparation for a homogeneous mixture. Grease and flour a mold and pour the preparation obtained in the mold. Bake for about 30 to 40 minutes at 180 °C (375°F). At the end of baking, let cool, then remove the tin from the oven, turn out your fondant and serve as is or with a scoop of ice cream or a spoonful of chocolate sauce, home made of course !